Christi's Creative Crew: New Tool Announcement!! This new tool was announced at the OnStage Live event in Utah last week. Even though I was not able to attend the event in Utah, I'm thankful that we are able to share this video with you to introduce it to you before it's release. 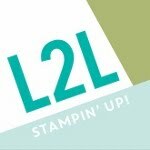 What is cool is that Stampin' Up! has been working on making this tool - The Stamparatus - for a couples years at least. 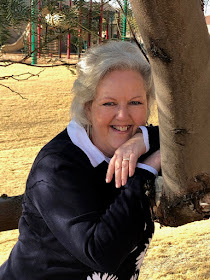 If you notice on the side bar of my blog I have been a part of the L2L (Leader to Leader) Board from the very beginning. What an honor to be a part of bringing this tool to you. Many of you may already own a stamp positioning tool called the Misti. I knew the Stamparatus was coming out so I never invested in the Misti, and it certainly was hard to keep my mouth shut when you all were talking about your Misti tool. I just wanted to scream - "no - wait! you will WANT TO WAIT!!" but I was under contract not to reveal anything. **Note; you cannot reserve one until November 16th. This is the first time that Stampin' Up! is doing a reservation - this is to help to keep from having so many back orders when it comes out in the annual catalog on June 1st. When you place your reservation you will add your credit card number but you will not be charged until the Stamparatus is ready to ship to you. You will get a notice (email) from Stampin' Up! saying that the product is available and at that time you will be asked if you want to continue with your purchase. At that time it will go into your shopping cart and you will be able to add more items to your shopping cart. Just add some paper and you will qualify for a Sale a Bration FREE item. instructions, please see the How to Reserve Your Stamparatus Tutorial for Customers.